Oh ya, I get this kind of feeling quite often. On such days, I try my best to cheer myself up usually by making the foods that I had enjoyed with my family. Foods that are filled with memories, laughs, comfort and full of life. When I cook such food, I get the feeling that my family has gathered together in my house. So this evening I decided to make a fried snack that could bring back those beautiful memories of my family and hometown. 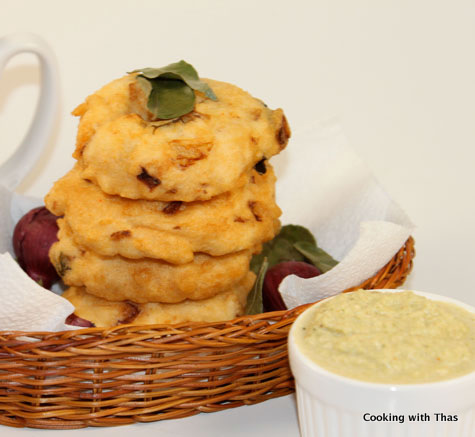 Uzhunnu vada or Urad dal vada is one of the Kerala’s fried snack specialities. In Kerala, it’s quite a common thing to see people gathered together in the evening and enjoying a cup of tea along with snacks. 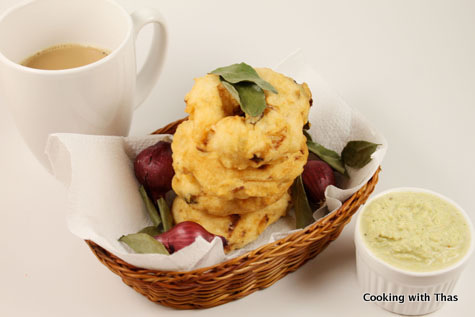 Uzhunnu vada has been a popular evening snack and it’s still everyone’s favorite. However, nowadays motor grinder has replaced this heavy olden grinder. So in most of the houses, urad dal is ground in grinder or blender. While making the batter in the traditional stone grinder, the batter gets constantly beaten with the hand while pushing the batter inside the grinder, this results in the formation of air inside the batter which eventually makes the fried vada soft and fluffy. If you had eaten the vada made in the traditional way, you could understand the difference between those made in a motor grinder and in a stone grinder. 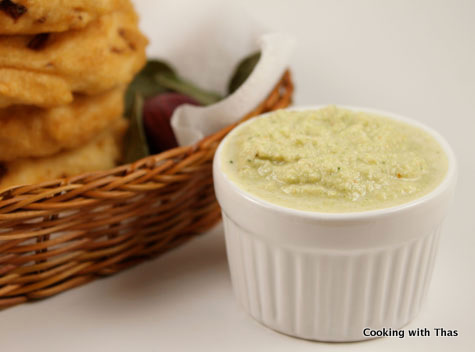 Don’t be disappointed, you could still make the soft vada using motor grinder or blender. After grinding the urad dal to a coarse paste, pour the batter into a large bowl. Using your hand, beat the batter and combine well for at least 5 minutes, this will create air inside the batter. And you will get to enjoy soft, fluffy vadas. 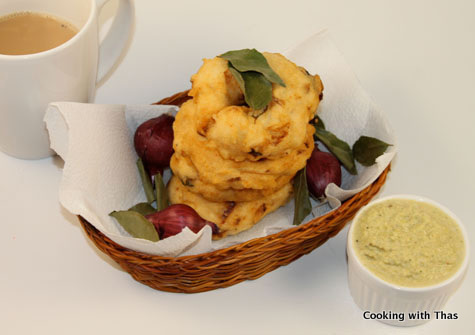 Uzhunnu vada is ways accompanied with Sambar or Coconut chutney. This time I made cilantro chutney for the dipping and also made ginger tea. It was heavily snowing outside and inside it was full of warmth: my husband and I enjoyed these vadas and cherished some beautiful memories. Soak the urad dal in water for at least 5 hours or overnight. 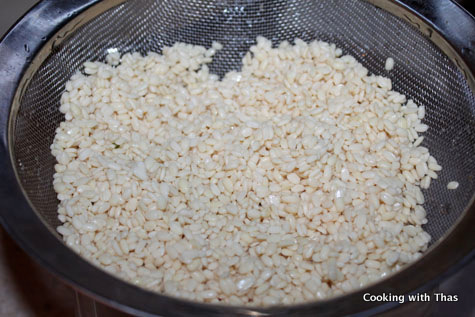 Grind the soaked urad dal in a food processor or grinder to a coarse paste. Avoid adding water, if it’s hard to grind then add very little water. Pour the batter into a large bowl, beat and combine the batter with your hand for 5 minutes. 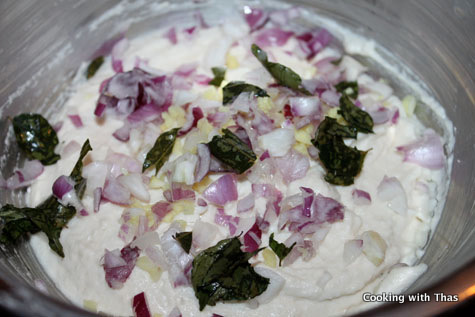 Add the chopped small onions, ginger, curry leaves, green chilies and whole pepper corns into the batter and combine well. Keep the batter in the refrigerator for 10 minutes. Have a plastic small ziploc bag or a plastic sheet ready. Grease the surface of the plastic bag with little oil. This will avoid the batter from sticking onto the surface. Place a handful of batter on it and make a small ball shape out of it. Gently put a hole using your index finger and shape up the sides to round shape. When the oil has heated well, gently peel off the batter from the plastic sheet and carefully slide it into the oil. Be very careful while putting the batter into the oil, don’t just throw it into the oil as the oil will splash up. 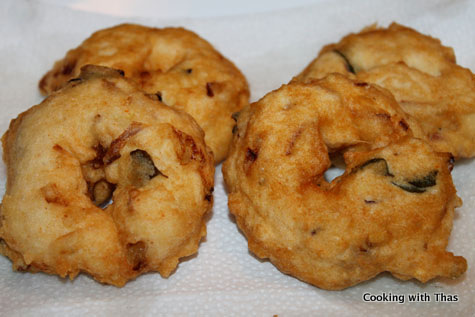 Don’t over crowd the vadas while frying as it will deform its round shape. Fry the vadas flipping to both sides until they turn golden in color. Transfer the vadas to a paper towel. 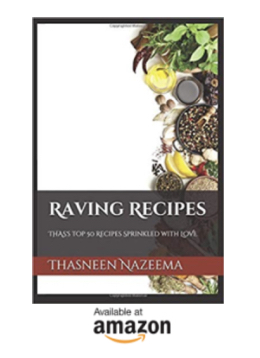 Serve hot with Cilantro chutney or Coconut Chammanthi. 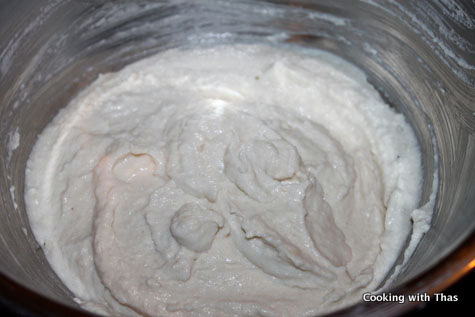 If the batter is watery, add some rice flour to make it thick. 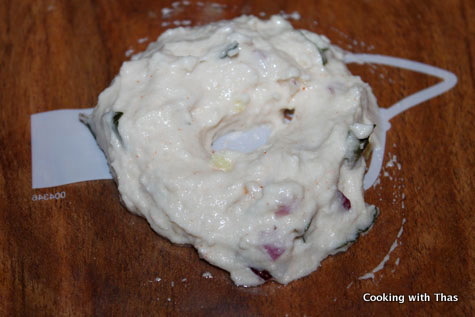 Combine all the above mentioned ingredients into a smooth paste in a blender or food processor. If you are using a blender, you have to add a few tablespoons of water while grinding. Grind to a thick or slightly watery paste according to your preference. Ginger Tea: I always want my tea to be flavored either with cardamom or ginger. Heat the milk in a sauce pan over medium heat. Add the freshly grated ginger and sugar. When the milk starts to boil, add the ground tea, combine well. Lower the heat and let it stand for a minute so that the color of the tea will darken. Filter the tea using a small sieve into a cup. Serve when it is still hot. Avoid adding water, if it's hard to grind then add very little water. Grease the surface of the plastic bag with little oil. This will avoid the batter from sticking on to the surface. When the oil has heated well, gently peel off the holed batter from the plastic sheet and carefully slide it into the oil. Be very careful while putting the batter into the oil, don't just throw it into the oil as the oil will splash up. 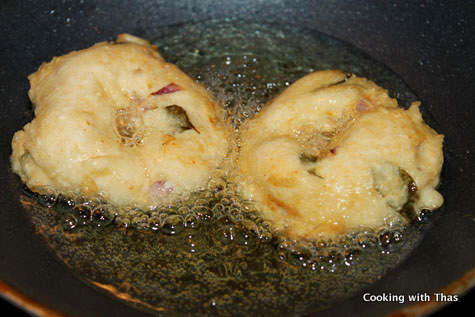 Don't over crowd the vadas while frying as it will deform its round shape. Fry the vadas flipping to both sides until it turns golden in color. 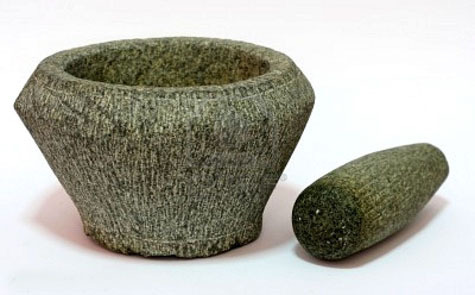 If you are using a blender, you have to use little water to grind it. Grind it to a thick or slightly watery paste according to your preference.